The 2019 Ford Flex is as stylish as it is functional. Some of the greatest features of this vehicle are the power liftgate, active park assist, and its fuel-efficient engine. The power liftgate makes packing up for the weekend easy and simple. You can open up the liftgate by simply pressing a button on the key fob or inside the vehicle. This will make the liftgate open in a snap. This feature is perfect for those who are packing up the car and don’t have a free hand available to open up the back. Another great feature is the active park assist, which can be helpful for any driver, but especially for new drivers. When searching for a place to parallel park, simply engage the active park assist feature. The car will then begin scanning for available spaces with enough room and will signal to you when you approach one. The car will measure the distance between you, the other vehicles, and the curb to ensure that there aren’t any fender-benders. However, one of the greatest parts of the 2019 Ford Flex is its 3.5L EcoBoost engine and the fact that it’s incredibly efficient and powerful. The engine has 365 horsepower and 350 pounds per foot of torque. If you’re in the market for a powerful and efficient vehicle, the 2019 Ford Flex is an optimal choice. 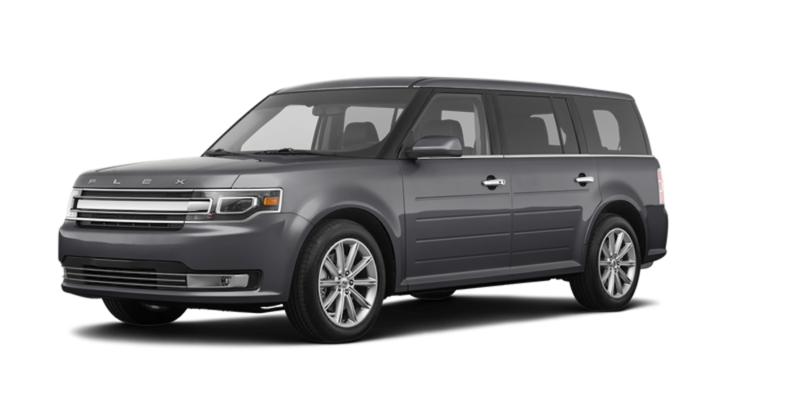 The 2019 Ford Flex is also very stylish and modern. The nature of the vehicle could be defined as “boxy,” but it has been a fan favorite for a number of years. It’s sleek and desirable for any customer. Some of the greatest qualities of the exterior of this vehicle include Power-Folding Heated Mirrors with BLIS, Rain-Sensing Wipers, Power Heated Mirrors, and the Monochromatic or Body-Colored Roof. The exterior features of the 2019 Ford Flex make this vehicle one-of-a-kind and easily recognizable. If you’re in the market for a vehicle that has mastered safety, comfort, and reliability, you won’t want to look too much further than the 2019 Ford Flex. It has all of the features that you want and need at a price tag that is sure to excite. The MSRP for this vehicle is $38,790, which is competitive and a fair price for the amount of features and specs that are included in the new 2019 Ford Flex. The 2019 Ford Flex is definitely a “must” for anyone in the market for a new 2019 model vehicle. The 2019 Ford Flex is certainly a tough competitor for any vehicle in its class due to the fact that it combines power, safety, comfort, and convenience, in one modern package. There are several comfort and convenience features that are sure to please even the toughest of critics. These features include MyKey, Ambient Lighting, Perforated Leather-wrapped Steering Wheel with Wood Inlay and Cruise, Memory Feature for Driver’s Seat, Exterior Mirrors, and Power-Adjustable Foot Pedals, Lockable Glovebox, Battery Saver, Cargo Net, Grocery Bag Hooks in the Cargo Area, and many more. The 2019 Ford Flex truly puts an emphasis on the fact that you can have a vehicle that is safe, reliable, and comfortable. This also proves that you can have a luxurious vehicle with all of the features that you want and need, at a price that doesn’t break the bank. There are also some great entertainment features that will make traveling much more enjoyable than your previous road trips. The entertainment features include an audio input jack and USB port, an audio system from Sony with 12 speakers, a navigation system with SiriusXM Traffic and Travel Link, SiriusXM Radio, and HD Radio Technology. If you’re looking for a vehicle with “too many” entertainment options, the 2019 Ford Flex has you covered. The greatest of the entertainment features is undoubtedly the navigation system with SiriusXM Traffic and Travel Link. This feature ensures that you get to your destination on time. If there is a quicker route to avoid traffic, this feature will be able to seek it out and provide you with the new directions. The 2019 Ford Flex is truly a remarkable vehicle that would make any customer happy. Choosing a vehicle that is powerful and able to handle whatever terrain, weather, or other unforeseen circumstances that come your way is truly important. It’s important for a number of reasons but largely due to the fact that you need a vehicle that will be able to safely get you to and from your destination regardless of the outside factors. Some of the power and handling features are standard, and there are also other features that are optional and would take the power and handling to the next level. If you’re interested in an even more powerful 2019 Ford Flex, you may consider the Intelligent All-Wheel Drive option. You also may be interested in the 3.5L EcoBoost Engine or even the 6-speed SelectShift Automatic Transmission with Paddle Shifters. If you’re looking to take the 2019 Ford Flex to the next level, Ford has the packages and the features in order for you to do so. The 2019 Ford Flex is a vehicle that comes equipped with the best safety, power, handling, and comfort features and abilities in its class. It’s no wonder that everyone loves the new 2019 Ford Flex. The fact that the 2019 Ford Flex puts as much emphasis on safety features as it does on comfort and versatility makes it a great choice for a new-car purchase. There are also more great security features that ensure that you, your loved ones, and your cargo are kept safe at all times. Some of the greatest security features are SecuriLock Passive Anti-Theft System, Perimeter Anti-Theft Alarm, Remote Keyless Entry System, SecuriCode Keyless Entry Keypad, and Illuminated Entry with Theatre-Dimming Lighting. Not only is the 2019 Ford Flex a safe vehicle to drive, but it’s also a secure vehicle to ensure that your valuables are kept inside your vehicle. The greatest security feature is undoubtedly the Remote Keyless Entry System which ensures that you are able to get into the safety of your vehicle should you ever need to get in quickly, without fumbling for your keys. Security and safety are a true priority for the 2019 Ford Flex, and it shows. Kings Ford is a popular dealership in the Cincinnati area and one that you definitely need to shop with if you’re looking for a great deal on a new or used vehicle. Kings Ford makes the customer a priority and will be sure to meet and exceed all of your expectations for the car-buying experience. The greatest part about shopping at Kings Ford is the fact that they will work with you so that you are able to drive home in the car of your dreams. They offer competitive pricing that is sure to fit any budget. Walking through the beautiful showroom will provide the customer with a sense of excitement over all of the new and used vehicles they have to choose from. 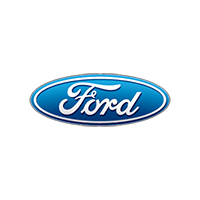 Aside from the extensive inventory, Kings Ford will make sure that you have the best possible car-buying experience. 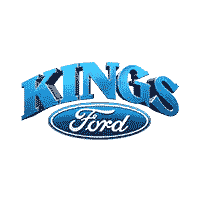 Customer service is a major priority for Kings Ford, and it shows. Their customers leave happy and drive away in the car of their dreams thanks to the employees at Kings Ford.